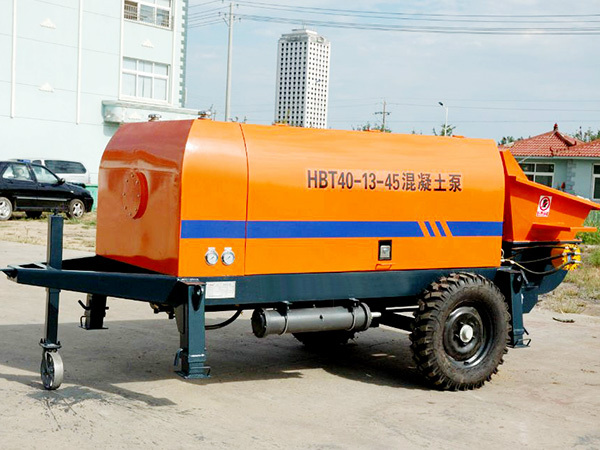 Mini concrete pump is a common concrete pumping machine in modern construction works, which is more and more popular with the booming and prosperous of modern economy. As an effective concrete conveying equipment, our mini concrete pump has long pumping distance and stable pumping performance. 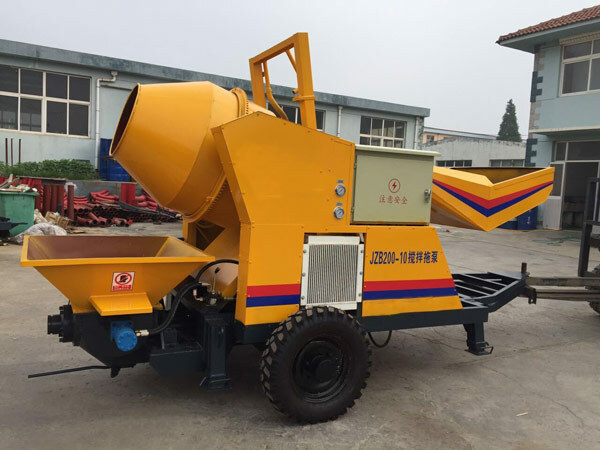 For those small concrete construction works, mini concrete pump machine can be a pretty reasonable choice, which can help you finish the works efficiently while save money and utilize resources at most. Our company is a top mini concrete pump supplier in China with competitive mini concrete pump price and best quality, and we have a good reputation and a solid position at home and abroad. 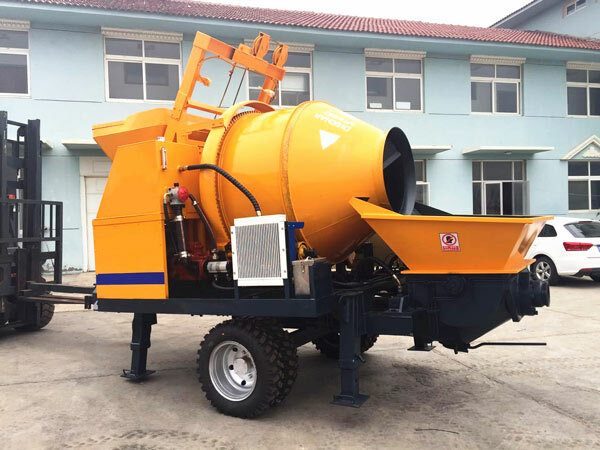 It is worthy of mentioning that our mini concrete mixer and pump is the top-selling pump of our company, and welcome to contact us to get more specific details. The Pumping system of mini concrete pumps for sale adopt open-loop hydraulic circuit, which has big fuel tank capacity, good performance of heat transfer and low temperature, and it effectively ensure that the entire hydraulic system can work properly. The distribution system of mini cement pump for sale adopts nested S-tube valve and special glasses plates that are made of wear-resistant materials, and the service life is long. 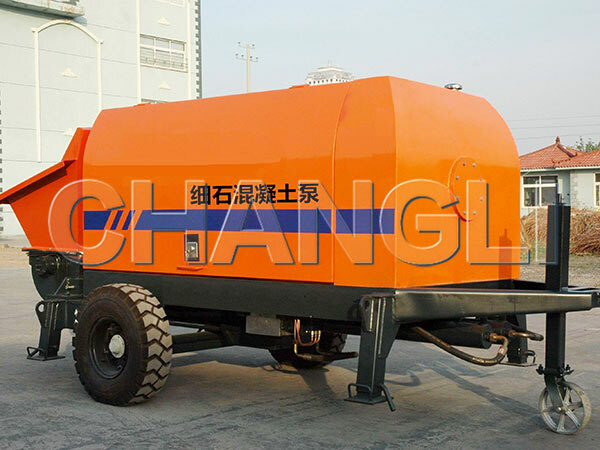 Besides that, the cooling and filtration devices of mini portable concrete pump have stable performance. 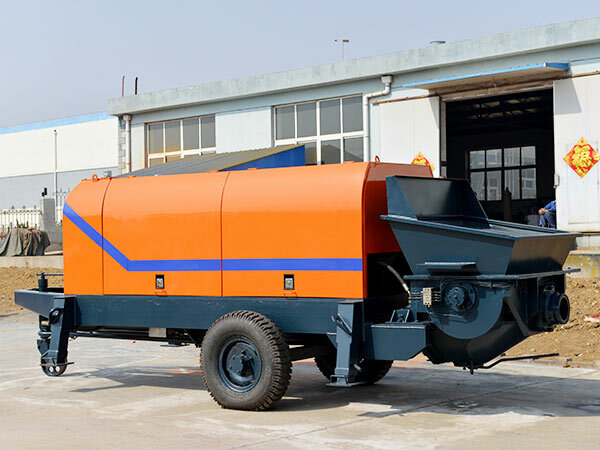 The cooler has reliable quality and good heat dissipation, and the hydraulic piping and valves of mini mobile concrete pump have good pressure resistance and anti-pumping performance. Hydraulic control valve ensures the long-term stability of the hydraulic system. 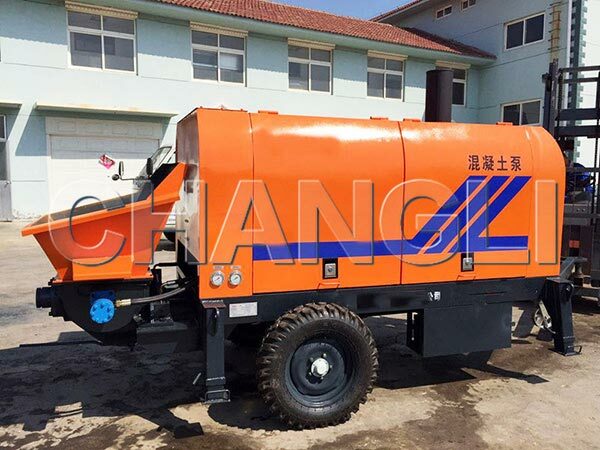 The electronic control system of our mini concrete pump has a high automation degree, and it is very convenient to operate our mini concrete pump for sale, which has the advantages of high control accuracy, long service life and low failure rate. 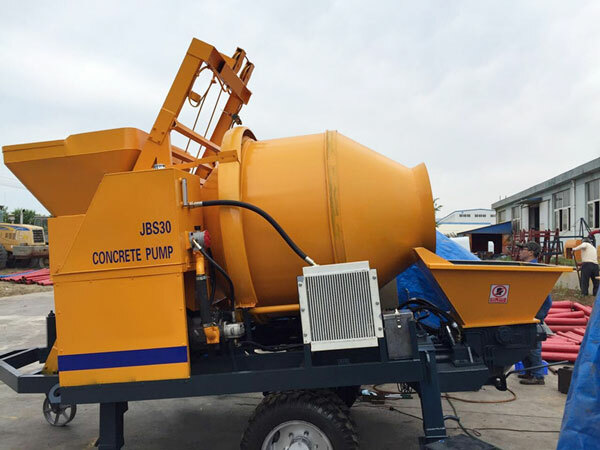 It can satisfy the high building construction and long distance transmission requirements, and mini cement pump for sale is convenient to move from one site to another, which can save lots of time, labor and original costs. Mini mobile pump for sale can be applied to transport many materials, especially all kinds of mortars and concrete. Mini portable concrete pump for sale adopts specially designed “S” valve to assure the long service life of goggle plate and cutting ring. Mini concrete pump has reverse pumping function, which can facilitate cleaning the conveying pipelines. The components of electric system are imported to ensure the long service life and reliable performance of concrete mini pump. It adopts PLC control system, so mini concrete pump for sale has reliable working, strong adaptability and wired remote control. Automatic lubricant filling device can eliminate the trouble of manual filling and extend the service life of small concrete pumps sale with less abrasion in the lubricants. Cooling method of mini concrete pump for sale adopts air cooling, it has strong chilling performance. Hydraulic system of mini cement pump for sale adopts U return circuit, and it has stable performance and high working efficiency. Help you choose the most suitable concrete mini pump for sale. Customize the mini concrete pumps for sale according to your request. Give you the details and video of the mini cement pump for sale for help you use and operate the machine much better. 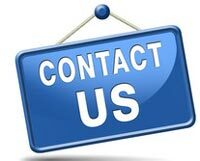 If your mini mobile concrete pump for sale has any problem, please contact us, we will share our experience and solve your problems as soon as possible. If necessary, we will send our technical staff to help you install the pump.